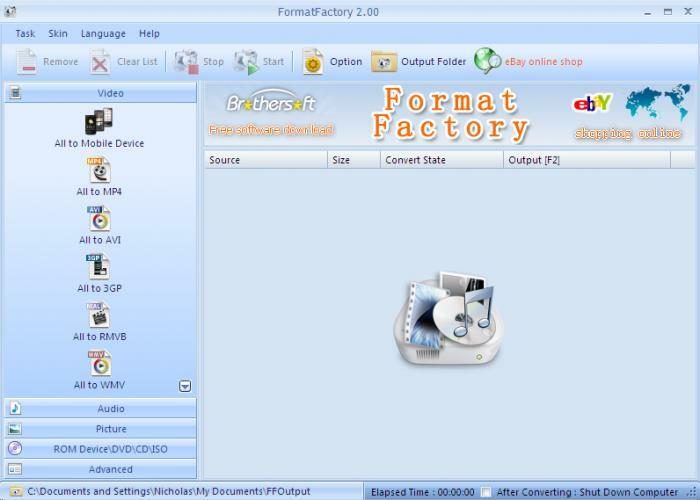 Format Factory is a free, fully-featured, converter that enables you to convert audio, video, and even images, between the most popular formats. These include WMV, AVI, MPG, MP3, WMA, AAC, JPG, PNG, GIF, and many more. Better still, Format Factory supports media formats used by most major portable devices, including PSP and iPhone.